This article is part two in a series on Pets With Allergies. To catch up, please read part one. Last week we discussed steroids and common presentations of pet allergies. This week we are tackling the subject of atopic dermatitis (atopy). Atopy is when a pet has an allergic reaction to substances in the environment, whether via contact through the skin or inhalation. In people it is commonly called hay fever. Atopy is more common in dogs than in cats. Atopy typically is quite responsive to steroids, usually has an age of onset less than 5 years, and often begins with a seasonal pattern. Some breeds such as Westies and Goldens are particularly prone to atopy. Atopy is a frustrating situation. 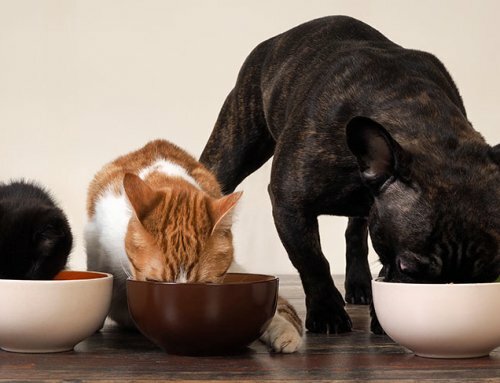 We can control foods ingested by our pets. We can control fleas and parasites. It is much harder to control pollen counts! Nonetheless, this week we will concentrate on the diagnosis and ways to limit steroid use in an atopic pet. 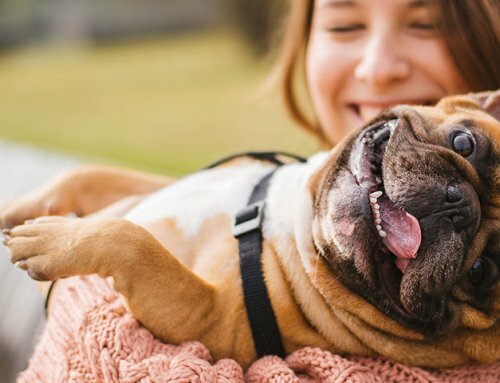 Even if your pet has atopy, it could also be one of the many dogs and cats who are allergic to flea saliva or have a food allergy. It is important to treat the treatable. 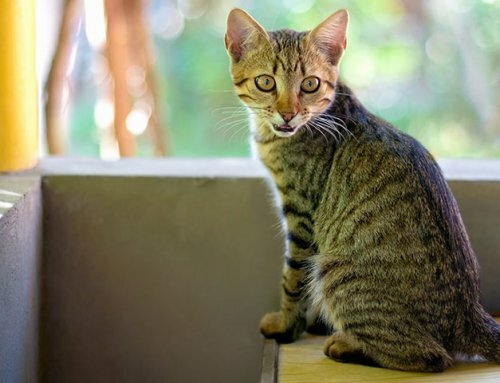 Use a good flea product monthly (even if you haven’t seen any fleas) and avoid new snacks and foods while you and your vet put on your detective caps to figure out why your sweetie is itchy. The diagnosis of atopy is one we come to with clues and over time. The first time your pet is itchy in the spring or fall, we won’t be able to tell that it is a seasonal issue. After a few years we can look back in the chart or on the calendar and perhaps recognize patterns. The definitive tests are intradermal allergy testing and testing the pet’s serum for antibodies to an array of common allergens. Vets rarely jump right to allergy testing because it can be very expensive. First we try medications and institute more frequent bathing. As I discussed last week, Omega-3 fatty acid supplementation can also be of great benefit. If your pet responds to a trial of an antihistamine, this response lends credence to the diagnosis of atopy. Other than making a pet too sleepy to bother itching, pets with food and flea allergies don’t typically respond to antihistamines. Only about 20% of pets with atopy will have a significant response to an antihistamine. The good news is that antihistamines in general are safe medications. The most common client complaint about antihistamines is that they can make a pet sleepy. If this is the case and yet a client feels it helps the pet itch less, I suggest the client gives the full dose at night time (when we should all be sleeping) and a lower dose during the day time. If one antihistamine doesn’t work, try using a different antihistamine. Again, antihistamines don’t typically resolve the issue, but they can decrease the frequency and severity of allergic flare ups. If a client knows that every April their pet gets itchy, I suggest starting an antihistamine in March. If a client describes financial worries, I often start with diphenhydramine or chlorpheniramine as both can be found inexpensively in a generic form. If your vet suspects atopy, you should become a domestic goddess. 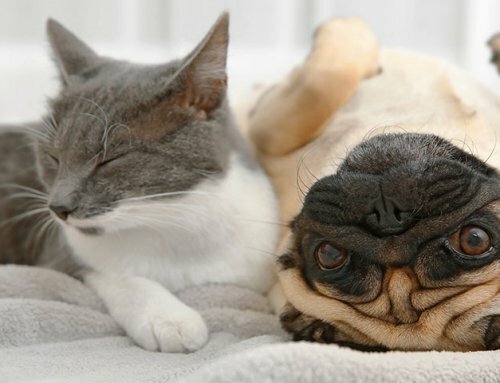 Dust and dust mites are a common allergen for both pets and people. Wash your pet’s bedding often. Change your air filters in your home. Avoid walking your pet on freshly mowed grass. Limit the number of houseplants you keep. 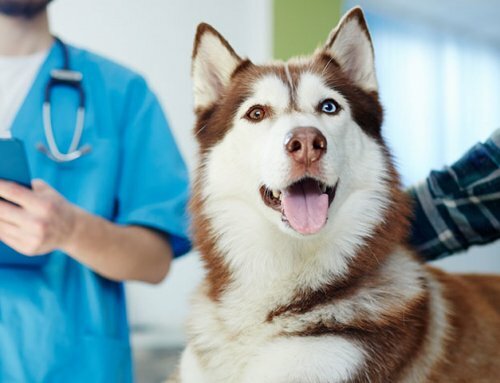 Short of running allergy tests (which require a withdrawal of all medications for up to a couple months), you may never know exactly what incites your pet’s allergies. I remember snickering the first time I saw a pet’s allergy screen come back positive for human dander. We commonly think of humans being allergic to their pets but pets can be allergic to their people, too! Years ago veterinarians thought atopy was due to inhaled allergens. Now it is understood to be a combination of inhaled allergens and allergens on the skin. By bathing a pet weekly and wiping the pet’s paws after going outside, we can lower the number of allergens inciting allergic dermatitis. When bathing a pet frequently, it is important to use a gentle shampoo such as an oatmeal shampoo. Many oatmeal shampoos are paired with a crème rinse or conditioner to avoid drying out the skin. If a pet is having recurrent bacterial or yeast dermatitis, a veterinarian may choose a medicated shampoo during flare ups and go back to a more gentle shampoo when signs subside. Medicated shampoos should be left on the skin for about 10 minutes for best effect. Regardless of the shampoo, the pet should be thoroughly rinsed afterwards. As discussed last week, steroids are not only immunosuppressive, they can cause insulin resistance. If your vet is confident in the diagnosis of atopy we have other drugs besides steroids to choose from to suppress the immune system. Atopica (cyclosporine) is one such drug. It is pricey, but would not send your diabetic pet’s glucose spiraling out of regulation. Your veterinarian may periodically need to prescribe medications for secondary bacterial or yeast skin infections. Skin infections by themselves can cause a pet to itch. Pets have a normal population of bacteria and yeast on their skin and in their ears. Inflammation of the skin from allergies can result in a secondary infection of the pet’s normal flora. Your vet may use cytology via swabs or tape preps of the skin to see if there is a secondary infection adding to the itch. Finally, know that there is the option of allergy testing. More often than not I will refer patients to a dermatologist for allergy testing as many dermatologists trust intradermal testing more than serum testing. Few general practices are set up for intradermal skin testing. Most dermatologists perform both of these effective allergy tests. 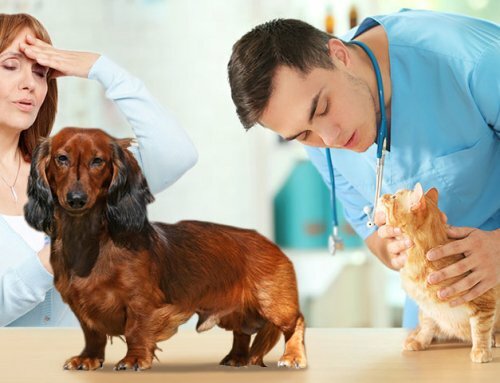 Once the results are in the dermatologist can formulate a serum especially for your pet to “hyposensitize” your pet against increasing amounts of those allergens, tricking the pet’s immune system. Next week we will discuss food allergies.